frag-ment-ed: robot sketchbook now on Flickr! robot sketchbook now on Flickr! 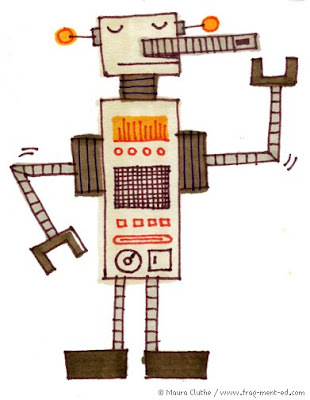 My Robot Sketchbook is now viewable on Flickr! There's only about 5 on there right now, but I'll be posting more soon. Check 'em out! I can't get enough of your robots Maura! You are so good!